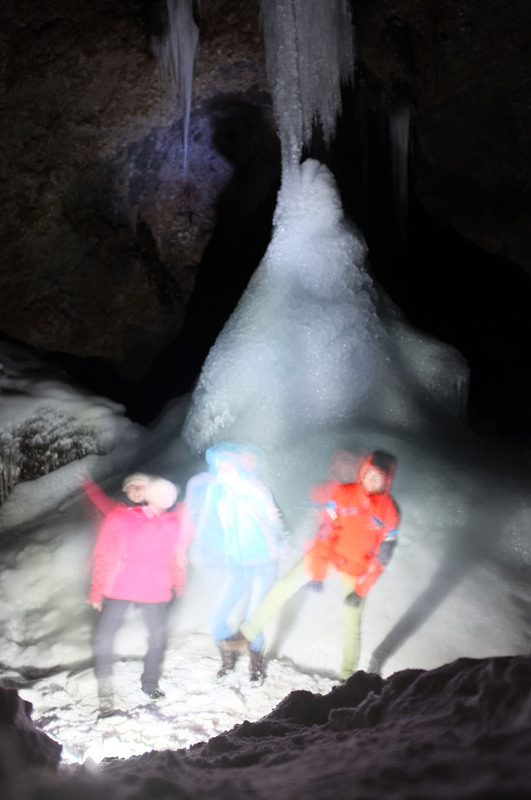 We were on a night hike last night to the nearby cave Sönghellir (The singing cave) which hosts a waterfall and dripping wet moss. 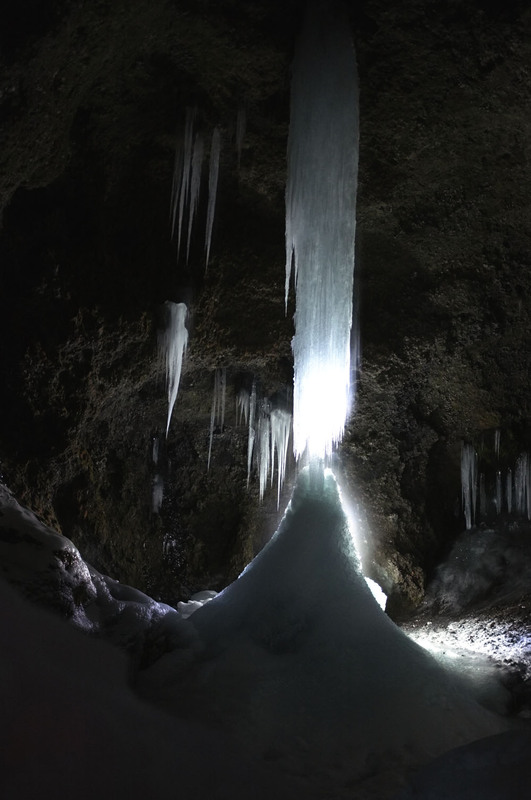 But as we had a record in cold temperatures over the past days (up to -13° C) the freezing water connected fully, so the waterfall became one huge icicle. 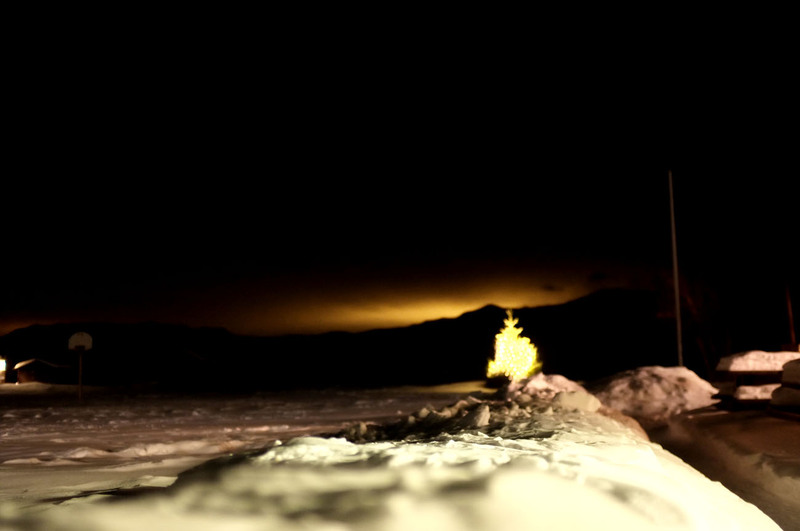 We enlighted the ice with our headlamps. 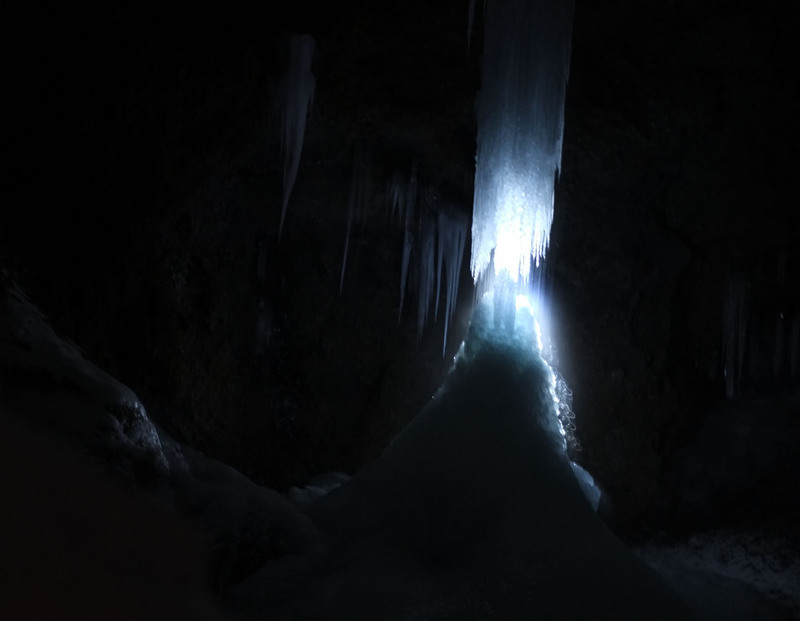 Two of us are standing behind the frozen waterfall to illuminate it with our headlamps.